Working in an industry that requires physical labour can be tiring and even dangerous without the necessary hand protection. 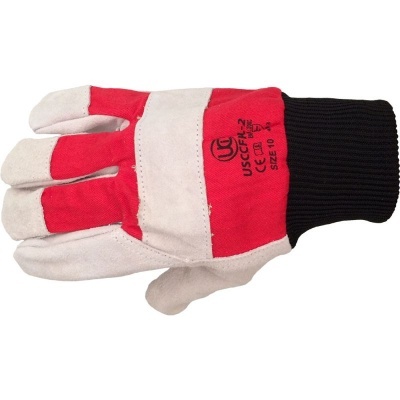 The Premium Leather USCCFKL-2 Rigger Handling Gloves with Red Drill Backing are constructed from thick leather and a heavy red drill backing to provide you with outstanding resistance against physical threats. The Leather USCCFKL-2 Gloves are designated Category II gloves, meaning they're suitable for medium-weight tasks. As they're designed with leather wing protection on the thumbs, first fingers, fingertips and knuckle straps, they provide extra protection against impact. 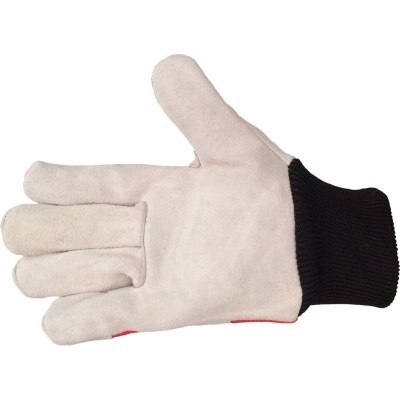 The Leather USCCFKL-2 Gloves are available in one size to fit most users. This is ideal if you aren't sure which size your workers require.